We custom mix paints to the exact color of the vehicle and fill in the missing paint to protect and improve the vehicle’s appearance. We are also able to do wet sand and buffing to help eliminate minor surface and clear coat scratches. The paint touch up service is highly recommended after a complete detail is done. Touch-up hides the chip, but does not make it disappear. 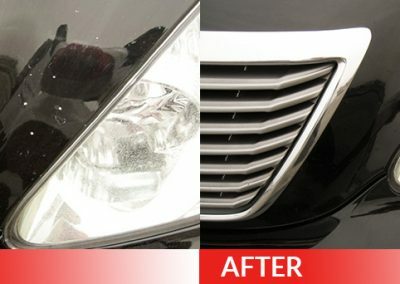 Dent Magic’s paint touch up process can be done in 15 minutes or up to an hour depending on damaged areas. Click on image below to enlarge view.